58 percent in India and 64 percent in APAC say the best response to increased security breaches is to invest in new cyber security technologies that provide protection across the entire threat lifecycle. Securing the cloud: 67 percent for the region and 73 percent of Indian respondents – the second highest in APAC. Protecting against vulnerabilities in IT systems: 69 percent for the region and 68 percent of Indian respondents. However, many see increased security breaches as a catalyst for outsourcing cybersecurity functions to a managed security service provider (MSSP). In all, the research found that within three to five years, 43 percent of Indian organisations and 38 percent in APAC could be addressing their cybersecurity priorities through outsourcing. The forecast for cybersecurity outsourcing adoption is highest in Singapore (59 percent), while in Thailand the take-up is lowest with only 30 percent of organisations expected to outsource. The survey examined the response tactics of those affected by cyber attacks to illustrate how present security infrastructures have struggled to contend with the realities of an increasingly digital world. Of the more than half (59 percent) of all Indian IT decision makers in the survey who reported a security breach in the last year, only 14 percent (the second lowest in the region).of them discovered this within minutes of the breach occurring. In some sectors, such as healthcare, it took 53 percent of APAC respondents days, months or even years to spot breaches. 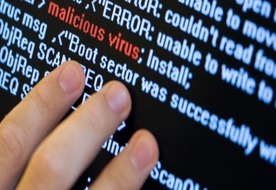 The survey found that, to mitigate these attacks and better protect their organisations, the number one action undertaken by ITDMs is the use of threat detection technologies (18 percent in India and 15 percent in APAC), along with cloud-based cybersecurity services (18 percent in India and 13 percent in APAC). Such capabilities are underpinned by the provision of actionable threat intelligence. Indian respondents cited ‘improved information security strategy’ as the greatest value of threat intelligence (61 percent in India and 52 percent in APAC) followed by ‘improved prevention of attacks’ (59 percent in India and 53 percent in APAC) and ‘improved risk management’ (59 percent in India and 55 percent in APAC). In terms of how and where new threat intelligence capabilities may be applied, 48 percent in India and 44 percent in APAC of those asked said they had their own threat research/incident response team monitoring all security activity in place today, though the number is only 25 percent in Hong Kong compared to 52 percent in Mainland China. Meanwhile, 32 percent of respondents in India and 30 percent in APAC claimed to outsource their cyber threat intelligence to a managed security service provider. Locally, the figure is lowest in Mainland China (16%) and highest in Malaysia (35%). Michael Joseph, Regional Director – System Engineering, India & SAARC, Fortinet.